Do you own a home that was built prior to 1965? If you do then your property may contain a buried (out of use) Oil Tank. Under the City of Vancouver By Laws, these buried tanks pose an environmental hazard and must be removed. 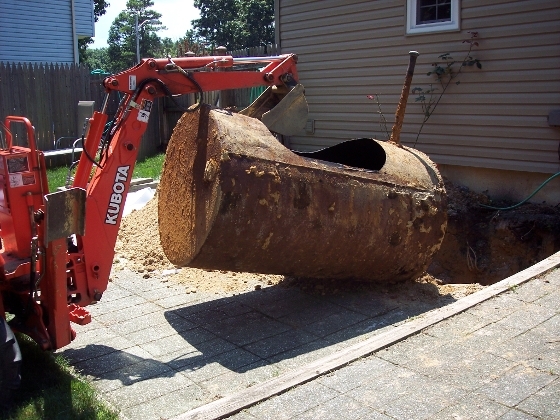 Call an Oil Tank Removal company and have them inspect your property for a tank. There are several in the lower mainland that will come out on a day or twos notice. If you have no tank have the Oil Tank Company provide you with a letter confirming such. The cost for this is minimal. If a tank is located then you’ll need to gain a couple of estimates. The tank removal can take place prior to listing your home for sale or after. The key thing to consider is that any tank removal must take place no less than 1 month prior to the closing of a sale. This is due to the time it will take for the oil tank company to deal with an Environmental Report if required. Also, banks funding a mortgage for a prospective buyer on your property will not fund a mortgage without all documentation being provided regarding the oil tank removal and the environment report. I have come across many home owners who have told me they know nothing about an oil tank on their property only to find one after a site scan is conducted. In order to assist the selling process its best to have the site scan done so that a letter can be provided to a prospective buyer’s before they make an offer. This scan should be done prior to the home being listed for sale. If you have any questions and or need a list of recommended Oil Tank specialists we are pleased to provide.